This may shock you, but most bands don't stay together in their original form forever. You see, rock musicians tend to have egos that are a touch inflated compared to us mortals, and the fact that they make their money looking cool and getting underwear thrown at them has a way of making many of them think the good times will keep rolling forever, with or without their bandmates. You may also be surprised to learn that popular rock bands are kind of like great big money printing machines, usually backed up by stodgy corporate types in suits who have a vested interest (and also an interest in vests, but that's beside the point) in making sure the Rock Bus keeps chugging along even if one or more wheels comes flying off. Like a writer who mixes metaphors willy-nilly, these bands may find themselves obliged to play musical chairs with their lineups, bringing in relatively unknown entities to replace iconic favorites and just sort of hoping fans will be cool about it. This, of course, is ridiculous. Rock fans can be just as picky, opinionated and stubborn as anyone, and there are plenty of instances of lesser-known musicians landing the dream gig of playing in legendary bands only to find that said fans have suddenly put away their lighters and are now lofting pitchforks. Founding member David Lee Roth may not have been the greatest vocalist on Earth, but he was the consummate showman and a perfect fit for fun-loving Southern California rockers Van Halen. Fans of the band were split down the middle when Roth — only two years removed from the monster hit album 1984 — was replaced by veteran vocalist Sammy Hagar. While Hagar's vibe was certainly different from Roth's, the band would crank out some of their biggest hits with the Red Rocker behind the mic. Of course, Van Halen's infighting and crappy interpersonal dynamics are almost as legendary as the band itself, and after a decade, Hagar had also had enough. 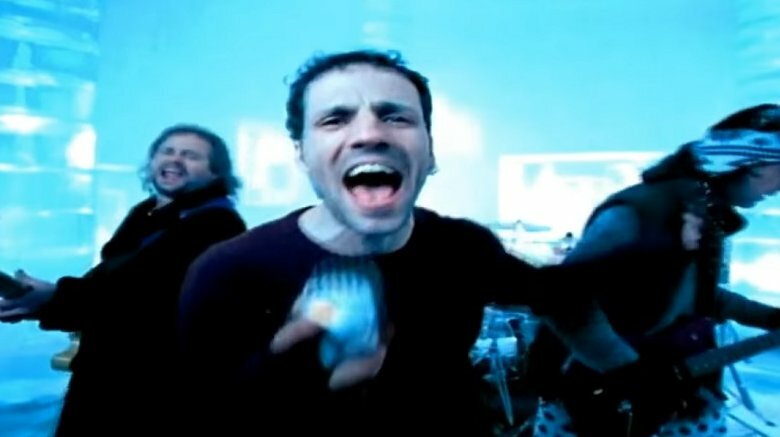 For his replacement, Eddie and the boys turned to former Extreme lead singer Gary Cherone. The move looked good on paper, but unfortunately, albums aren't recorded on paper. Cherone made his debut on the band's 11th album, Van Halen III (hey, nobody said you had to be a math major to rock), and while he acquitted himself fairly admirably, fans found him a less-than-ideal choice. That is to say, they couldn't stand him. After three years and that lone album, Cherone departed, saying, "some of the fans will never want me or anyone else in the band." How right he was — in 2003, Hagar returned to the fold, until he remembered why he left in the first place and made way for Roth's return in 2007. With the possible exception of Led Zeppelin's John Bonham, Keith Moon of The Who was the most insanely gifted drummer of the album rock era. Emphasis on "insanely," because this musician's superhuman feats of drummery were matched only by his superhuman ability to vacuum up all the alcohol and drugs in any room at any given time. "Moon the Loon" was simply irreplaceable, but that didn't stop the band from trying; after his 1978 drug overdose death, they turned to former Faces drummer Kenney Jones, a well-regarded professional and drinking buddy of guitarist Pete Townshend — a move that went over, well, like a lead zeppelin. Jones struggled to adapt to the band's changing, more commercial sound, manning the skins for only two albums — 1981's Face Dances and 1982's It's Hard. Roger Daltrey spoke about his tenure in a 1994 interview: "I just felt that Keith was such an extraordinary drummer, to try and replace him was just ridiculous. … I'm not saying he's a bad drummer. I'm not saying he's a bad guy. I didn't dislike the guy, but I just felt he wasn't the right drummer for the Who." Jones was officially let go in 1989, and perhaps it's that search for Moon's perfect replacement that has kept them going through about 16 farewell tours. 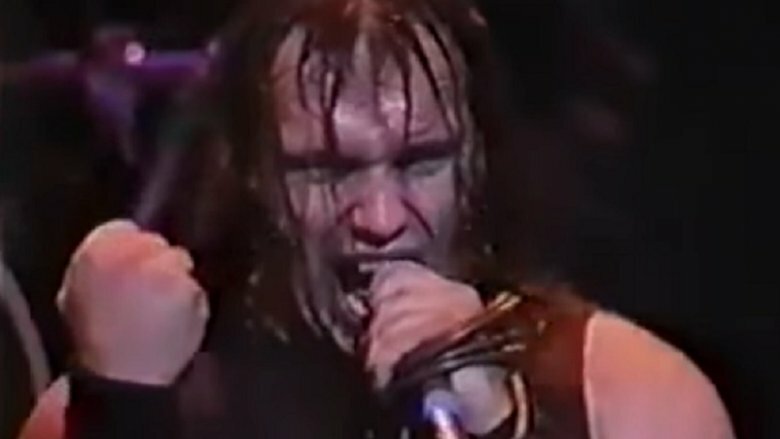 When iconic vocalist Bruce Dickinson left Iron Maiden in 1993 to focus on a solo career, the band auditioned a slew of potential replacements, including former Wolfsbane singer Blaze Bayley. Despite having a completely different vocal style from Dickinson, Bayley became the immediate favorite, and after being officially hired in 1994 he made his first appearance as Maiden's new lead singer on the following year's The X Factor. It was a dream come true for any guy named "Blaze," but even a vocalist that accomplished couldn't sway the band's fans, who literally would rather have had a Bruce Dickinson-shaped cardboard cutout on stage. Bayley lasted three years and one more album (1998's Virtual XI) before Dickinson, whose solo career didn't exactly shake the Earth, gave the fans what they wanted and returned to the group. Speaking to rock journalist Mitch Lafon in 2014, Bayley remembered, "When I joined [the band], there were a lot of people who just resented me and actually hated me … because they blamed me for Bruce leaving, which is a classic girlfriend problem, where you blame your friend for your girlfriend leaving or whatever. But a lot of people didn't wanna listen to me." Bayley has gone on to a respectable indie solo career, and while he looks back on his time in Iron Maiden as being pretty excellent, he still thinks the fan treatment of him was bogus. Vince Neil's bleach-blond, pug-faced visage was the face of Motley Crue throughout the band's '80s heyday, and at the end of that decade they notched their greatest commercial success with 1989's Dr. Feelgood. The album went straight to #1, remained on the charts for a staggering 114 weeks, and cemented Crue as the premier rockers of the day — right before Nirvana came along to jerk the rug right out from under the Crue and any other purveyor of so-called "hair metal." Undeterred, the band regrouped to follow up their biggest record with another dose of glitzy L.A. rock — but then Neil, due to the ever-popular "internal disagreements," bolted. In need of new pipes, the Crue recruited John Corabi, the former front man for little-known band The Scream. By the time Corabi made his first appearance on the band's self-titled 1994 release, however, a perfect storm of indifference was brewing. Label Elektra, in the middle of a major shakeup, couldn't be bothered to promote its product — and Neil's absence meant even fans who were aware of the record's release generally held it in open contempt. It was Corabi's lone outing with the band, as Neil returned for 1997's Generation Swine — but not everyone thinks Corabi's tenure should be consigned to the trash heap of metal history. "I'll probably get kicked in the nuts for this," guitarist Mick Mars said in an interview years after the fact, "but I thought it was a really great album." When your lead singer has one of the most instantly recognizable (and difficult to imitate) voices in the world, replacing him isn't quite as simple as placing an ad on Craigslist. 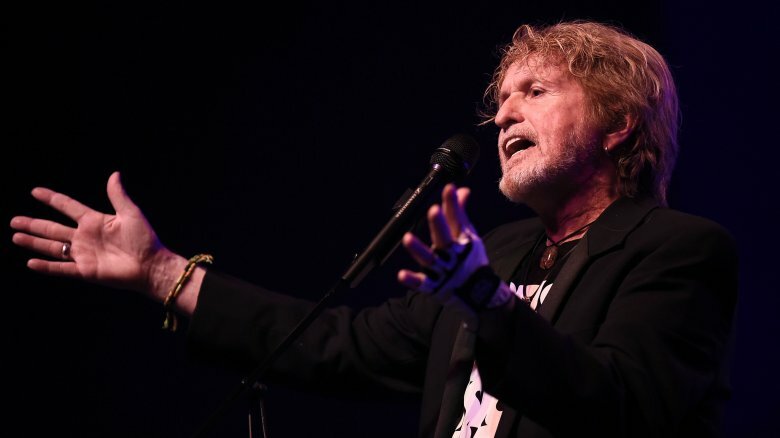 Just ask the venerable prog-rock outfit Yes, which has struggled during multiple periods to maintain its identity without singer Jon Anderson and his crazy alto vocal range. In a period of turmoil in the early '80s, during which Anderson and legendary keyboardist Rick Wakeman departed, the band attempted to fill the gap with Trevor Horn of the Buggles (that band that warned us about video killing the radio star). That endeavor lasted for one album before Horn's throat began to self-destruct under the demands of imitating Anderson. Anderson rejoined the band in time for their smash 1983 record 90125 and remained until 2008, when health problems forced him out. The remaining members saddled up with Benoit David, formerly the lead singer in a Yes cover band, without even telling Anderson. Fans were unimpressed with the new karaoke version of their favorite band, and Anderson himself lobbed a few disses their way in a Rolling Stone interview: "The new singer is singing good, but it sounded a bit dated to me. Also, the production wasn't as good as I expected. They've got a great producer. … What the hell are you doing?" David couldn't have been that good — Yes eventually re-released the only album he appeared on, 2011's Fly From Here, with new vocals by Horn. Speaking of instantly recognizable voices, punk fans had every reason to be wary when — after a none-too-friendly breakup in 1986 — the Dead Kennedys announced in 2001 that they were moving forward without lead singer Jello Biafra, the Gilbert Gottfried of rock. Short of recruiting Gottfried himself, it didn't seem like the band had a lot of options for replacing Biafra's frantic, swaggering stage persona and his bleating vocal style, but the guy they ended up picking — the former lead singer of punk band Dr. Know, Brandon Cruz — seemed like a choice specifically engineered to make Kennedys fans flip their mohawks. This is because Cruz wasn't just any old punker guy. He began his career in entertainment as a child actor and achieved considerable fame in the 1970s as the star of The Courtship of Eddie's Father, opposite future Hulk Bill Bixby. Cruz had somehow managed to parlay his squeaky-clean image into a post-television career in punk rock, but his tenure in the Kennedys became an immediate lightning rod for controversy, not to mention lawsuits. Biafra regarded Cruz as little more than a "scab singer," alleging that Cruz had modified his stage presence to more closely match Biafra's and that the reformed band was essentially pulling a bait-and-switch on fans. Biafra sued for damages over the "impersonator," a suit which went nowhere, likely because Cruz bailed after just a couple years to be replaced by a succession of no-name singers who were never child stars. For fans of ska-punk outfit Sublime, 1996 was the ultimate double-edged sword. The band finally managed to achieve commercial success with their self-titled third album, scoring a #1 hit single with "What I Got" — mere months after the death of lead singer Bradley Nowell. In accordance with Nowell's wishes, the band broke up rather than carry on without him — until 2009, when the remaining members apparently decided Nowell had been dead long enough that his wishes no longer mattered. 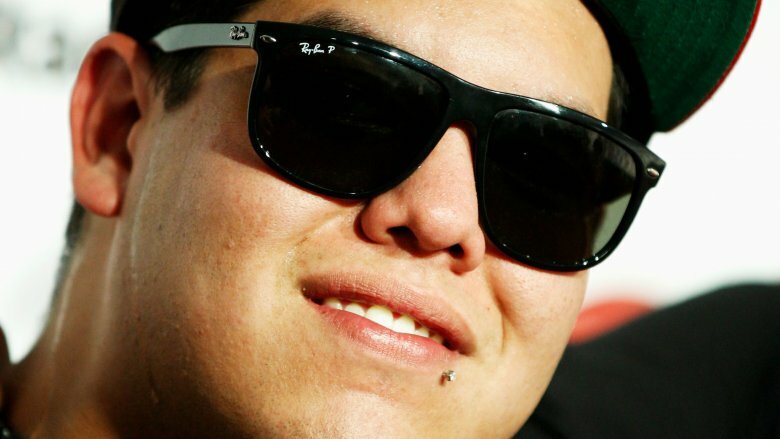 They recruited new singer and guitarist Rome Ramirez — a Sublime super-fan with the advantage of knowing all the band's songs and the distinct disadvantage of being a really crappy singer — and reformed the band for about six seconds before they were dragged into court by Nowell's family over their use of the Sublime name. The court ruled against the band, so they tacked "with Rome" onto the end of the moniker and went about their business. About a decade and two poorly received albums later, the band (minus original drummer Bud Gaugh, who departed after the retooled outfit's first album) continues to tour and perform, but if you're really that hard-up to see Sublime songs performed live, most fans would recommend skipping the expensive concert ticket and simply heading to your neighborhood karaoke bar for a similar experience. 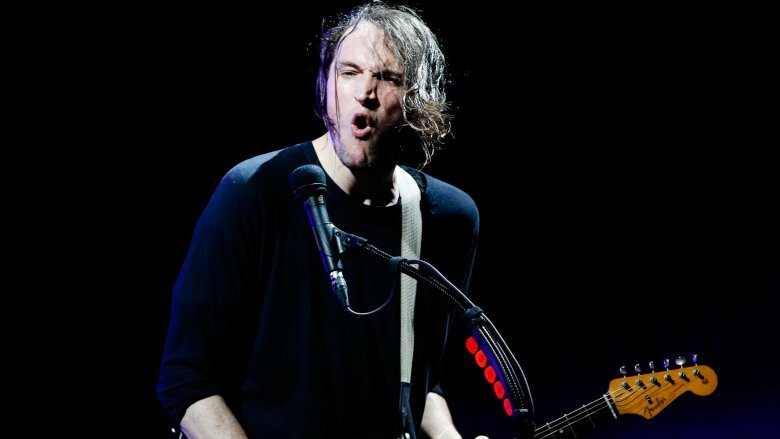 In a band full of Red Hot Chili Peppers, guitarist Josh Klinghoffer has always been a bit of a … banana. The Peppers' longtime backup tour guitarist officially stepped in for departing longtime axeman John Frusciante in 2009, replacing Frusciante's virtuoso funk craziness with a decidedly more minimalist style. To his credit, he obviously never intended to replicate what Frusciante brought to the band. But given his tendency to constantly second-guess whether he's sufficiently living up to his predecessor's legacy, it might very well be better if he had. Of course, the strong contingent of fans still pining for Frusciante's return don't exactly help. Having been a member for years and recorded two albums with the band, Klinghoffer got a little testy when the subject of Frusciante was broached in an interview with Russian media outlet Metro News. "Of course it gets annoying. On one hand it's an honor for me to be part of this band, and be mentioned in the same breath as Frusciante. But all these comparisons are simply absurd. We are two totally different people. … Seriously, anyone trying to compare us is an idiot." Given the fact that RHCP fans literally can't help but compare Klinghoffer to the band's longest-tenured guitarist, and also considering his public criticism of the band's recording technique and their concert attendees for having the gall to take pictures during their performances, it seems like Klinghoffer is doing everything he can to talk himself out of a pretty sweet gig. 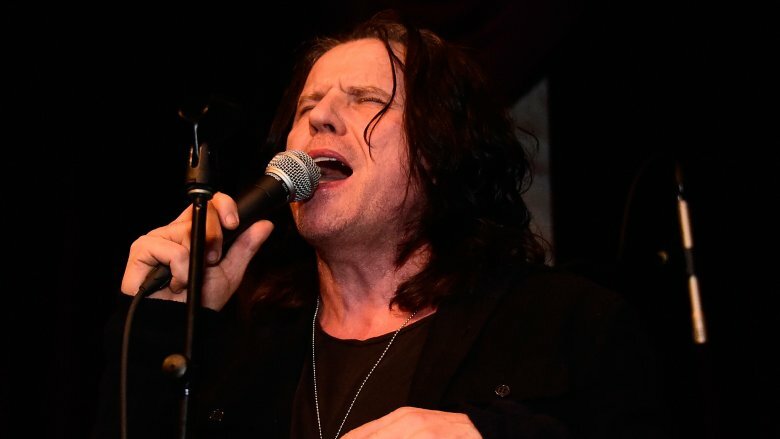 After the tragic suicide of lead singer Michael Hutchence in 1997, the venerable Australian rock band INXS carried on with a number of temporary singers before deciding to permanently replace Hutchence in 2005. They did this in the most rock 'n' roll, legacy-honoring way possible: with a freaking reality show. Rock Star: INXS pitted 15 contestants against each other for a chance to rock in the big leagues. 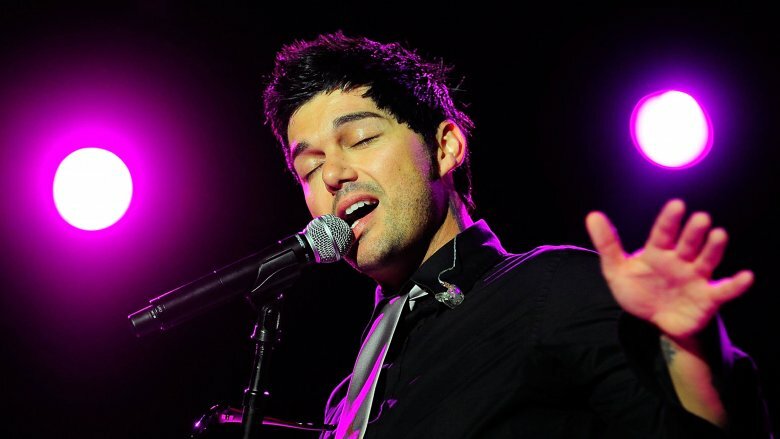 Despite being the underdog to fan favorite Marty Casey, Canadian singer J.D. Fortune took home the big prize, joining the band on tour and for the recording of their 2005 album Switch. Before his big win, he had been broke, homeless, and living in his car. Unfortunately, his time fronting one of the Land Down Under's biggest bands only gave him a temporary reprieve from that. While an adequate replacement, Fortune admitted that he abided by the terms of his Contract with the Devil (which, of course, all rock stars must sign in their own blood) by getting way, way too into cocaine. At the end of a 23-month tour, the band let him know that his services would no longer be required by offering him a firm handshake and ditching him at an airport in Hong Kong. The ironically unfortunate singer ended up in the exact same situation he had been in before his big win — homeless and broke — but now with a shiny new drug habit to keep him company. When Ozzy Osbourne departed Black Sabbath to embark on a solo career in 1979, the band found perhaps the only musician capable of replacing Ozzy's distinctive shriek in Ronnie James Dio, one of the most powerful metal vocalists to ever live. But even the legendary Dio's tenure in the band was divisive among fans, so when the singer left to start his own eponymous outfit in 1983, some might have expected Sabbath to seek out a singer who was a bit more Ozzy-like. 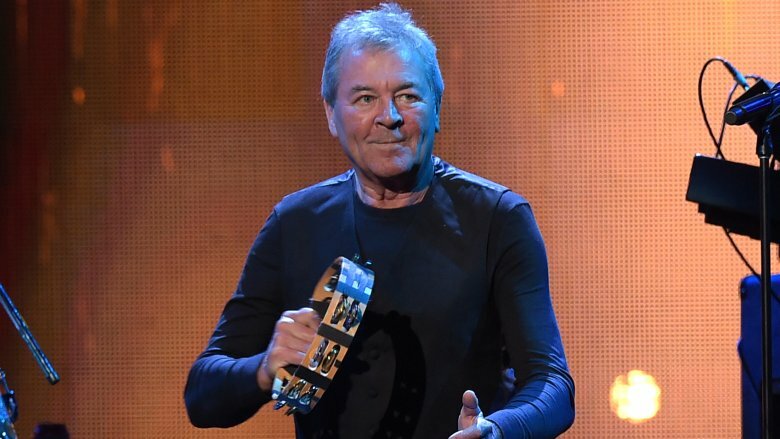 Instead, they turned to former Deep Purple vocalist Ian Gillan, who was the exact opposite of Ozzy-like. Gillan came on board for the band's 1983 release Born Again, an experiment in clashing styles that made headbangers bang their heads against their stereos. 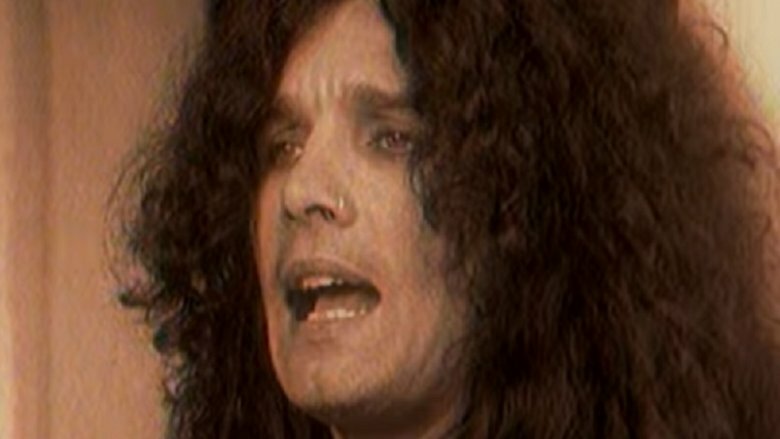 Not even Gillan's soaring voice could hide his corny lyrics (they even bled through in song titles like "Zero the Hero" and "Disturbing the Priest"), which rubbed up uneasily against Sabbath's dark, gloomy vibe. The collaboration only lasted for that one album, after which Gillan returned to Deep Purple and Sabbath fans were left wondering how anyone thought the pairing was a good idea. The answer should have been obvious: As guitarist Tony Iommi recounted in an interview years later, he invited Gillan to join the band after the two got drunk off their faces at an Oxford pub. So Black Sabbath can't even make a giant mistake without doing it in the most metal way possible. It sounds like the plot of a cute kids' movie: A mild-mannered, rock n' roll-loving teen gets asked to join a famous band. This isn't a music version of Rookie of the Year, it's the actual life story for the bassist who replaced Michael Anthony in Van Halen in 2007 … except with a whole lot of nepotism thrown in. The musician is named Wolfgang Van Halen, and he's the son of guitarist Eddie Van Halen and nephew of drummer Alex Van Halen. 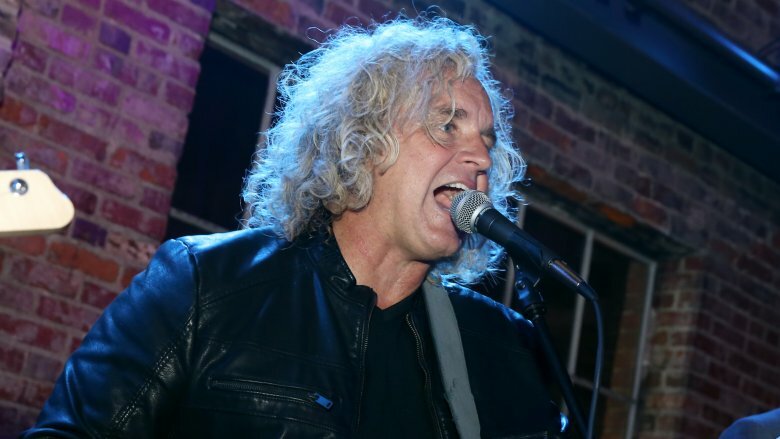 In 2009, Eddie Van Halen told Rolling Stone that he had to bring in his boy because Anthony quit the group to join former Van Halen singer Sammy Hagar's band Chickenfoot. Anthony remembers things a little differently: "I never quit Van Halen. No way." He'd previously told Rock Daily that Eddie Van Halen had been trying to get rid of him since 2004, believing the guitarist "was always put off that I was going out and playing with Sammy when we weren't doing anything." 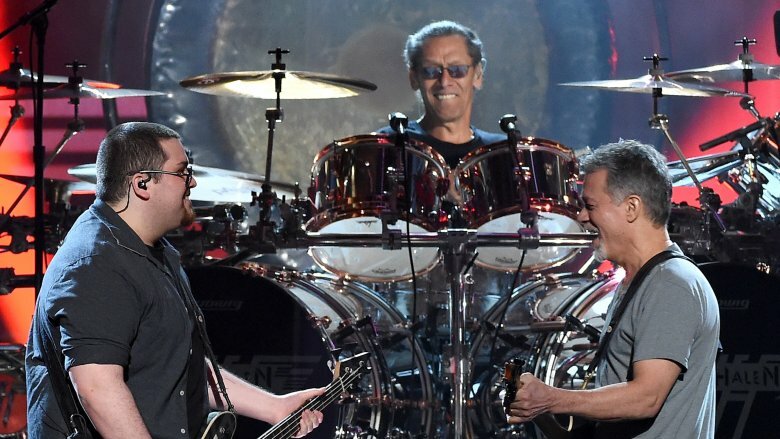 Van Halen mistreated Anthony, a loyal member of the band for decades, and said goodbye to his decades of experience on the bass, but his prominent backup vocals, which had always been an instrumental part of the band's sound. And for what? To bring in a new bass player who was only 16 when he joined the group. Uncle Jesse in the Beach Boys? Have mercy! For almost 60 years now, the Beach Boys have gorgeously harmonized on Brian Wilson's intricately produced songs about cars and surfboards. It was initially a family affair, comprising brothers Brian, Carl, and Dennis Wilson, plus their cousin Mike Love and friend Al Jardine, but lots of musicians have come and gone over the years for a variety of reasons. Dennis Wilson died in a drowning accident in 1983, leaving the Beach Boys crushed and in need of a drummer. Several musicians have filled in on tour and in the studio, but for more than 30 years now, the most prominent one has been, of all people, John Stamos. 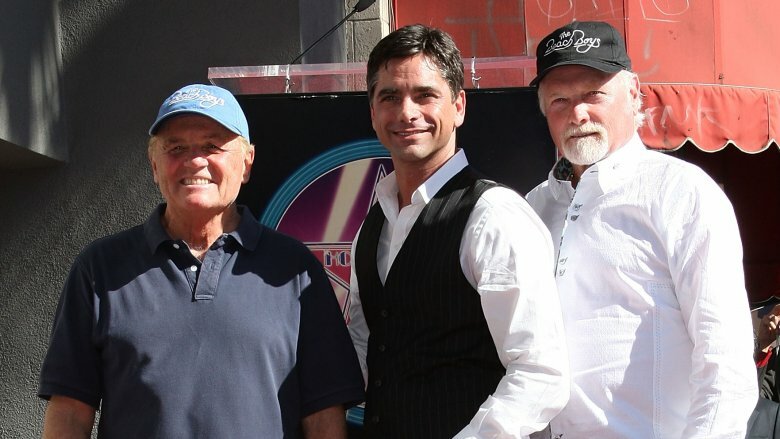 According to a Mike Love radio interview in 2016, Stamos, the erstwhile Uncle Jesse from Full House, is a Beach Boys superfan and befriended some of the group back in 1982. As the '80s wore on, they worked together a few times, with Stamos playing percussion on select concert dates (and in the video for the band's 1988 hit "Kokomo") and the Beach Boys returning the favor with a guest stint on Full House. They backed up Stamos' in-character performance of the cheesy love ballad "Forever." 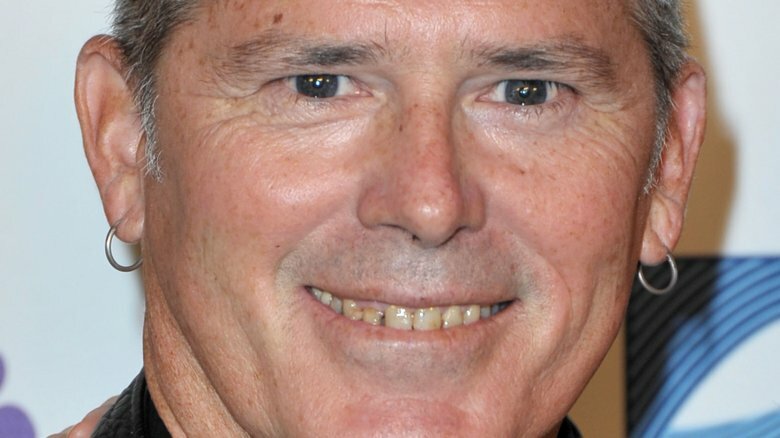 Of all the top-shelf, in-need-of-work rock drummers out there that the Beach Boys could've picked, and they went with the poor man's Rob Lowe? The artsy, satiric Devo operated from a facetious thesis that humans were no longer evolving, but devolving. That led to a vast dystopian band mythology and memorable costumes like yellow jumpsuits and pot-like hats called "energy domes." As for the songs, those were mostly keyboard-driven diatribes about the bleakness of life and paeans to masturbation. Despite only one actual hit song, "Whip It," Devo's unique sensibilities made it one of the most memorable acts of the New Wave movement of the late '70s and early '80s. 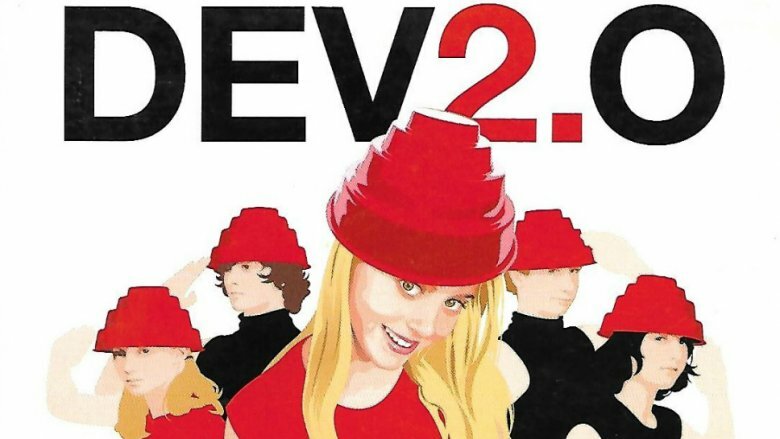 Flash-forward to the early 2000s when Walt Disney Records inexplicably approached the members of the band with a proposal to reboot the Devo brand, by which they probably meant twitchy keyboard pop and energy domes. Oh, and the band would be called Devo 2.0 (or alternately DEV2.0) and consist of tweens. As replacing the entire band was the most postmodern thing this very postmodern band could do, Devo signed on. The original members play the instruments on old Devo songs on Devo 2.0's self-titled debut while some kids sing sanitized, rewritten lyrics minus all the irony, nihilism, and adult content. (For example, "Jerkin' Back 'N' Forth," originally a song about self-pleasure, became a song about how much fun it is to dance.) Ultimately the sole Devo 2.0 album flopped, and the project was scrapped. After years as a British blues-rock band, Fleetwood Mac recruited American duo Buckingham Nicks, comprising Lindsey Buckingham and Stevie Nicks. They proved to be the key to making Fleetwood Mac one of the biggest, smoothest bands of the time. Buckingham's agile guitar work and Nicks' spooky, deeply personal songwriting and vocals propelled Fleetwood Mac's 1977 album Rumours to sales of more than 40 million copies. Buckingham left the band in 2018, and according to "a source close to the situation" who spoke to Variety, Buckingham didn't quit. The rest of Fleetwood Mac wanted to tour, but Buckingham wanted to focus on his solo stuff. Needing to start planning shows, the group reportedly got so tired of waiting for Buckingham to sign on that they told him they were going on the road without him. 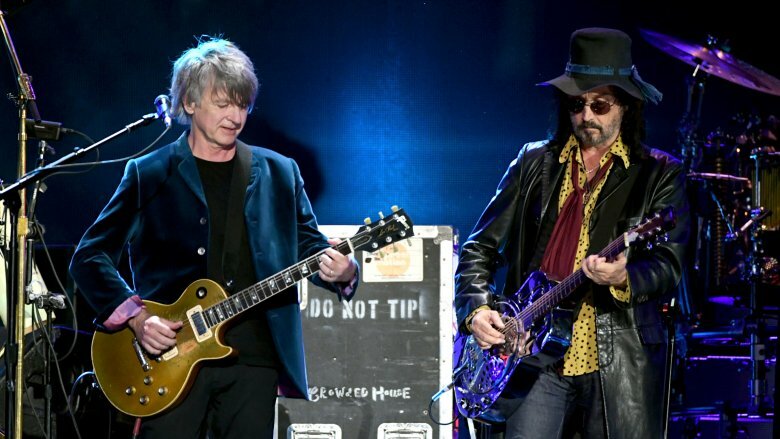 As he played guitar on every major Fleetwood Mac hit and sang lead or backing vocals on almost all of them, he'd be a hard guy to replace … so the band hired two accomplished musicians to fill the void: Neil Finn of Crowded House and Mike Campbell of Tom Petty and the Heartbreakers. Beyond vocals and a distinctive guitar style, the new Fleetwood Mac suffered the loss of what Jim Harrington of the Mercury News called "intangibles," such as "passion and power" and "heart and soul," as well as a crackling, fascinating chemistry with Nicks, with whom he once had a tumultuous relationship. AC/DC has long rocked the world, even weathering the loss of singer Bon Scott in 1980, replacing him with Brian Johnson. Since ten, Johnson and AC/DC pressed on, filling arenas with its rock songs about rock … until it all fell apart. Guitarist Malcolm Young left the band in 2014 due to escalating health issues (he died in 2017), and drummer Phil Rudd was out later that year, after pleading guilty to threatening to kill an assistant. Replacements filled out the lineup when the group headed out for its "Rock or Bust" tour in 2015 … until Johnson's doctors diagnosed him with such profound hearing loss that if continued performing he'd likely soon go completely deaf. AC/DC opted to continue with the tour. But they'd need a singer, someone high-profile who could hit the high notes and who was immediately ready to go. 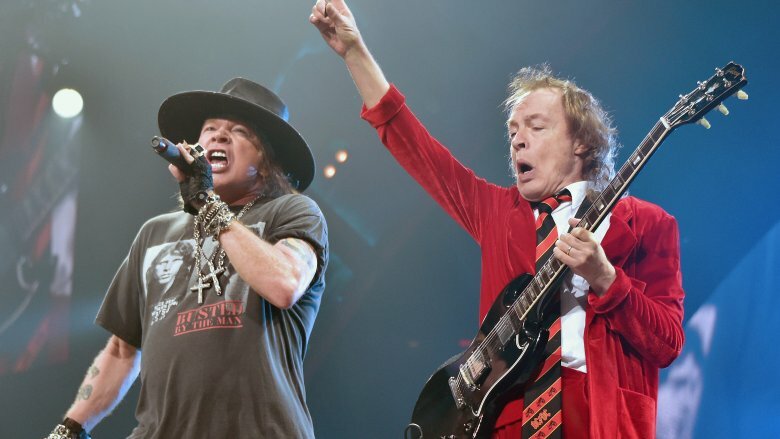 One man fit the bill: Axl Rose, the frontman of Guns N' Roses (when he felt like it). AC/DC fans still flocked to see the band, but some lords of metal weren't impressed. Rudd told the New Zealand Herald that he'd never return to the band if Rose is still around. "I don't want to play with Axl Rose. I don't really rate him," the drummer told the Bay of Plenty Times (via the Guardian). Def Leppard's Phil Collen told an Idaho radio station (via Antimusic) that he's uninterested. "It's not really AC/DC. Maybe call it 'A, With Axl Rose.'" Yeah, he's come to sing "Rooster"
Alice in Chains spent the first half of the '90s as one of Seattle's biggest grunge bands, releasing radio staples such as "No Excuses," "Rooster," and "Would?" All the while, singer Layne Staley struggled with drugs, and after a show in July 1996, he overdosed on heroin. He lived but would never perform with Alice in Chains again, shutting himself away in his Seattle home, where, in 2002, his body was found after a fatal dose of cocaine and heroin. Alice in Chains guitarist Jerry Cantrell embarked on a solo career, and a band called Comes the Fall served as both his opening act and backing musicians. 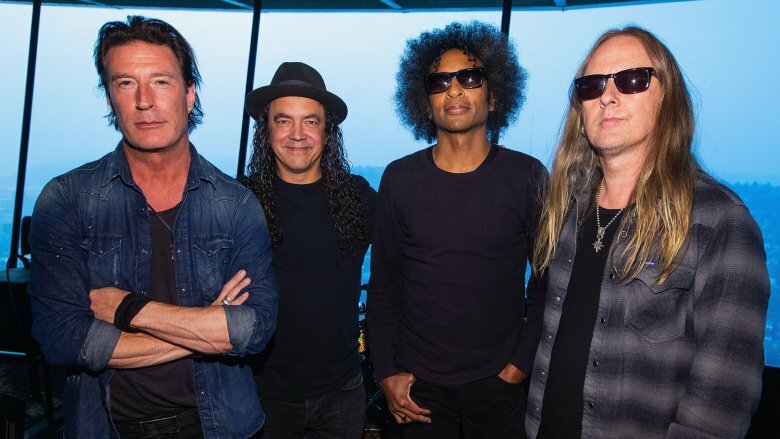 When Alice in Chains decided to reunite, Comes the Fall's William DuVall was an obvious pick to fully replace Staley. He still had to audition, though, and beat out better known candidates such as Vin Dombroski of Sponge and Scott Weiland of Stone Temple Pilots. The Doors' sound is synonymous with the late '60s: psychedelic and aggressive, while also wrapped up in the cult of personality of singer Jim Morrison. Talented musicians backed up Morrison — particularly guitarist Robby Krieger and keyboardist Ray Manzarek — but the Doors was Morrison's vehicle. Recognizing that replacing its iconic frontman would be foolhardy, the Doors at first carried on without Morrison, as Krieger and Manzarek split vocal duties on two forgettable albums. The remaining Doors reunited in 2000 at the behest of that oh-so-countercultural institution of VH1's Storytellers. In between Krieger, Manzarek, and drummer John Densmore talking about the far-out '60s, man, guest singers sat in, including Scott Weiland of Stone Temple Pilots and Ian Astbury of the agro-alternative band the Cult. The living Doors had had their eye on Astbury for a while — he and Doors biographer Danny Sugerman were friends, and he frequently recommended the singer, despite his having a completely different style than Morrison. With the VH1 show providing a jump-start, the Doors toured in 2002 with Astbury as Riders on the Storm (as in the title of the famous Doors song). Why the name change? Because it upset the Doors' Densmore so much that he sued. "It can't be the Doors without Jim," he said. "It could be the Windows, the Hinges, I don't care, as long as it's not the Doors." Guitarist Tom DeLonge and bassist Mark Hoppus shared vocal duties in Blink-182 for years, and their humor and hook-filled hits like "First Date," and "What's My Age Again?" made it one of the most popular pop-punk bands ever. DeLonge and Hoppus exhibited an amiable camaraderie, which is why fans were so surprised when DeLonge left the band under mysterious circumstances in 2015. "We are all set to play this festival and record a new album and Tom kept putting it off without reason," Hoppus and drummer Travis Barker said in a statement. "A week before we were scheduled to go in to the studio we got an email from his manager explaining that he didn't want to participate in any Blink-182 projects indefinitely." But DeLonge subsequently told fans via Instagram, "I never quit the band." 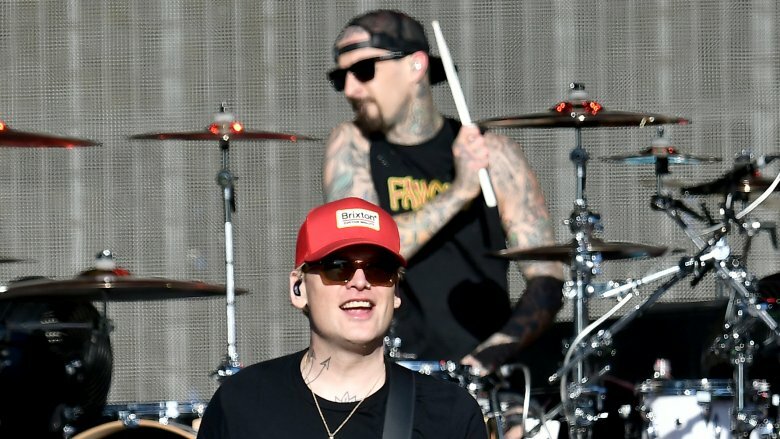 In the same statement announcing DeLonge's exit, Blink-182 announced his replacement" Alkaline Trio guitarist Matt Skiba. Skiba told Ultimate Guitar that his arrival received a mixed response. "There were some people who were like, 'This is an amazing fit,' and some Tom loyalists who were like, 'F*ck you!'" Indeed, some expressed their distaste on Skiba's Instagram page. Trolls left nasty comments about everything from his instrument ("your guitar is ugly") to his output ("that last album sucked a** and I feel your time is up.") Skiba, to his punk-rock credit, responded in kind. "Get a new face you f*cking jive turkey," he wrote to the commenter who found his guitar ugly. If you've ever been to a dentist or a supermarket or ridden in your mom's car, you're probably familiar with the ultra-smooth light-rock hits of Chicago. The band had a ton of hits in the '80s thanks to the combination of schmaltzy keyboards and the vaguely otherworldly vocals of singer Peter Cetera, soft rock radio staples including "You're the Inspiration," "Hard to Say I'm Sorry," and "Stay the Night." But switch the station to the classic rock one, and they still play songs by Chicago, songs that are simultaneously harder-edged and have a jazzy influence courtesy of an aggressive horn section — "Saturday in the Park" and "25 or 6 to 4," for example. How did one band change so much? It really happened when Cetera took over as main lead singer, along with the assistance of songwriter and producer David Foster, a man who's worked with the likes of Barbra Streisand, Celine Dion, and Kenny G.
Then, in 1984, at the peak of its popularity that came from focusing on Cetera's style, he left the band for a solo career. The band promoted longtime band member Jason Scheff to lead singer duties (sharing them with sometime singer Bill Champlin), which he performed respectfully for 30 years. The band couldn't weather the change — only one Sheff-led song hit the top 40: "What Kind of Man Would I Be?" in 1989.